I have always been confident in my decision to double major in Finance and Psychology, but as I laid out the stepping stones for my future career goals, I realized that having a global perspective was a crucial part of those aspirations that no amount of coursework would be able to teach me. 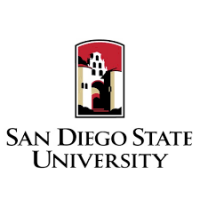 SDSU has provided me with the necessary tools to gain this global perspective through their numerous study abroad programs. Though I am not currently planning to go to France till next year, I would have never been able to clearly make that decision without the Fowler College of Business Study Abroad Workshops. It was Teresa Donahue’s expertise on the subject that made my aspiration of gaining a global perspective tangible. Her hands on workshop neatly laid out all the necessary steps to studying in a different country. Before the Study Abroad Workshop, I was overwhelmed but after attending I learned that traveling to a school in a different country could be right for me and I could continue to pursue a globally refined education. © 2019 • All content within this entry is strictly the property of Sophie Peterson, and is not for public use without permission.